Your pet is not eating and you don't know why? Some pets have food preferences just like we do and some pets can be especially finicky. However, it is important to determine if the issue is a behavior problem (being finicky) or a medical issue. Inappetence can be a serious sign. If your pet is not eating, it often is because your pet isn’t feeling well. 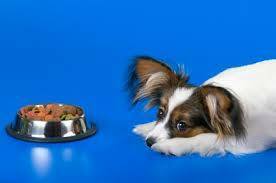 Watching your pet closely can tell you a lot about the underlying cause of why your pet does not want to eat. Is it a certain time of day? Perhaps mornings? Be sure to take your pet to your veterinarian if you notice any signs of inappetance. Causes of inappetance can range from kidney or liver disease to gastrointestinal conditions such as pancreatitis. The longer you wait to take them to the vet, the longer your pet may feel uncomfortable. Soothing Digestive Relief -- Enzyme formula that soothes the stomach, relieves gas, indigestion and tummy rumbling. Power Probiotic - The Best probiotic for dogs and cats. Power Probiotic is pure, natural and contains no fillers.